Bugs in my House ?! What to do. 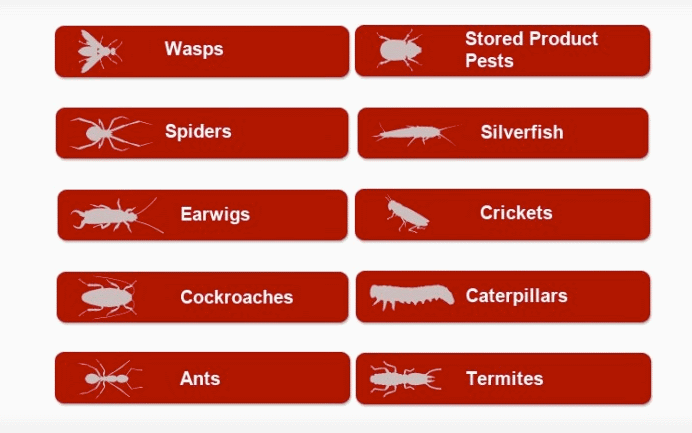 Click and visit pest ID home. Occasionally, one may come across one stray bug or a couple of ants that have wandered in, don’t worry. Southwest Florida is a tropical climate and seeing a bug here and there does not necessarily constitute a pest problem. However, if you see multiple bugs or persistent trailing ants contact us for quick service. To maintain a bug free environment our customers assist us by making sure all entry points are sealed properly at windows and doorways and shrubbery and trees are maintained and kept from touching the home or commercial structure. It is best to save a sample of any pests that may have entered your home so that they may be identified correctly. For ants, this can be done by lightly touching the ant with a piece of Scotch tape. 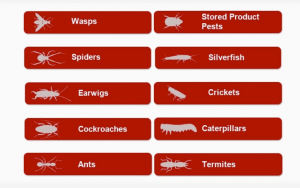 There are various ways that we will take care of different issues, so proper pest identification is very important.